73 million sharks are killed every year to meet the increasing demand for shark fin soup, resulting in the collapse of many shark populations worldwide. 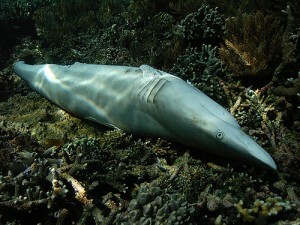 There is no one type of shark used for the Fin Soup this effects ALL shark populations. Many are finned and thrown back into the ocean to sink to the bottom and die a slow uncalled for death. Please take a moment and make a stand for a species that can not speak for itself. Follow this link and SAY NO!